Since 1990, Global Exchange has been at the forefront of a movement seeking to fully normalize U.S. relations with Cuba and end the embargo (or bloqueo, as it’s called by the Cubans) of more than 50 years. 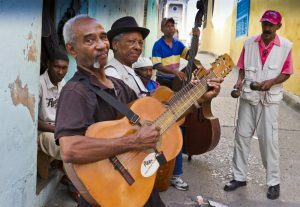 Global Exchange’s grassroots education programs, Cuba Reality Tours Program, publications, speaking tours, and campaigns have informed the debate about US-Cuba relations for more than twenty-five years. Global Exchange has supported free interchange and cultural exchange between the U.S. and Cuba through organizing hundreds of Reality Tours and thousands of American citizens to travel legally to Cuba and by bringing Cuban cultural and political leaders here to the U.S. on education speaking tours – our most recent in 2015 with ICAP President Kenia Serrano. While we celebrate the steps toward normalization made under the Obama Administration – the removal of Cuba from the State Terrorist list, the opening of travel restrictions, the freeing of the Cuban Five – we recognize that true normalization cannot be realized until the embargo is lifted. The future of relations between our two nations under a Trump administration is, now, even less certain. Our work to educate the U.S. public on the right of U.S. citizens to travel to Cuba and to build people-to-people ties through our Cuba Reality Tours Program is more important than ever. 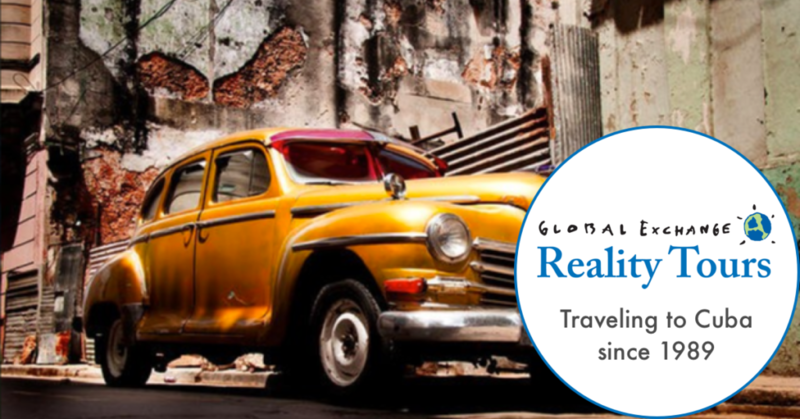 Now is the time to join one of the upcoming Global Exchange Reality Tours to Cuba. If you are part of an educational institution, a union, a professional group or have a group of friends or family who want to travel – contact Global Exchange about arranging a custom trip. Now is the time for U.S. citizens to ensure that the next many years of Cuba/U.S. relations will benefit the people of both countries. 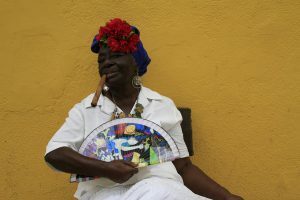 We recently co-founded RESPECT – a new nonprofit association dedicated to ensuring travel, which has grown exponentially under relaxed regulations, respects the people, culture and natural environment of Cuba. We hope you’ll join our effort. Sign up for our email list to receive updates and actions you can take to support the normalization of relations with Cuba and follow up on Facebook.